The 2pc Hanger Set - 052 from Tumi is sure to complete all of your traveling needs Set includes two premium hangers that can be used in garment bags or wheeled cases with garment sleeves. 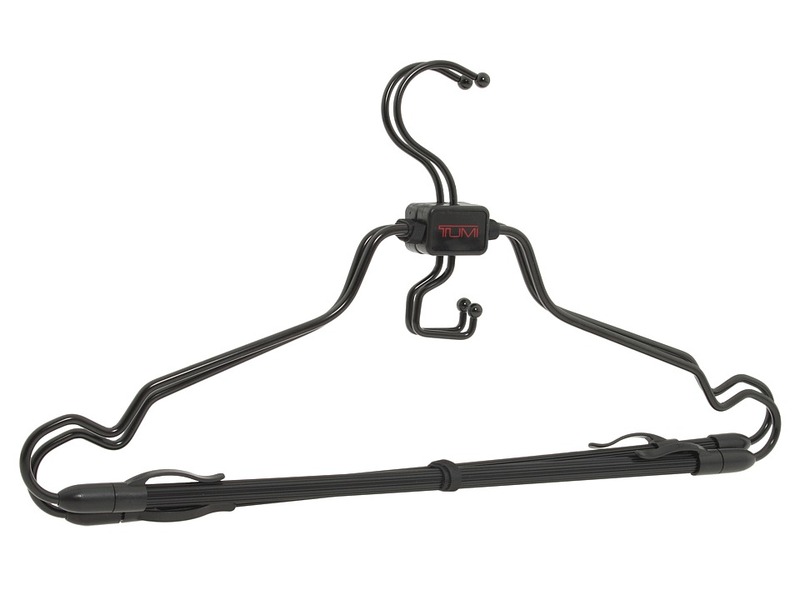 Versatile hanging options allow you to go from hanging garments in your bag to the closet in a cinch. Side clamps hold pants and other items firmly in place on the cushioned bar to prevent slippage. Dimensions: 17.0 wide x 7.5 high. Weight: 6.0 oz.